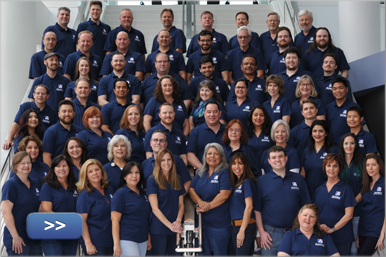 As part of our continued efforts to improve the user experience of Aeries and to provide rich tools to enable student success, Aeries Analytics has been greatly enhanced. Users can now Add, Edit, Copy, and Delete dashboards or dashboard items directly from the Analytics Dashboard page. Adding these functionalities to the dashboard area will help users better visualize what the final dashboard would look like. This also allows for easier dashboard creation by not having to leave the Dashboard page. Adding and Editing Dashboard Item is now easier with a new user-friendly wizard style process. 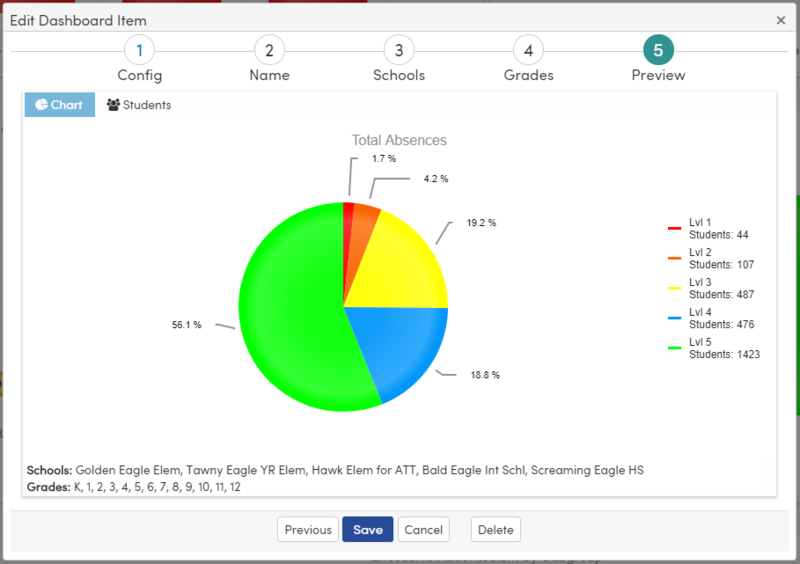 The wizard will guide users through the complete process of adding or editing a dashboard item. And to make sure the item is configured the way the user wants, the item can be previewed before it is finalized! 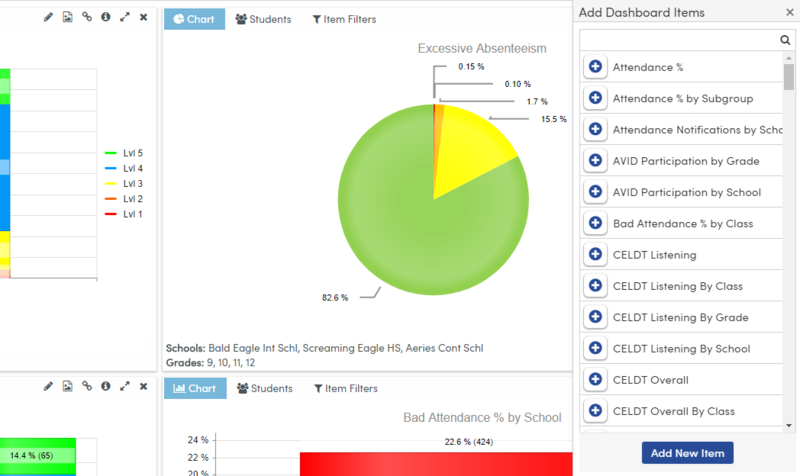 New Dashboards can now be added or existing ones edited directly from the Dashboards page. The Dashboard name can be changed instantaneously without having to go back and forth between the Analytics Dashboard page and the Analytics Dashboard Config page. 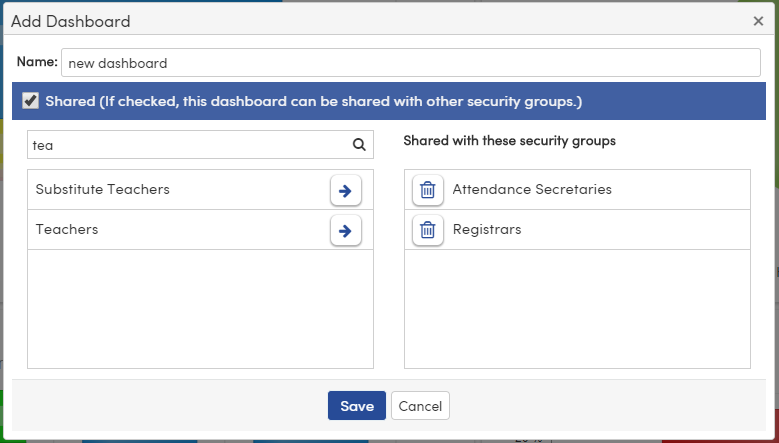 Shared security groups are now searchable. Adding or removing a security group is now a simple click on the right arrow button or trash can button. Adding a new item to a dashboard can be accomplished by drag and drop of an item from the "Add Dashboard Items" list onto the dashboard or by clicking on the + button. An Item can be removed by clicking on the x button located at the top right corner of a dashboard item. 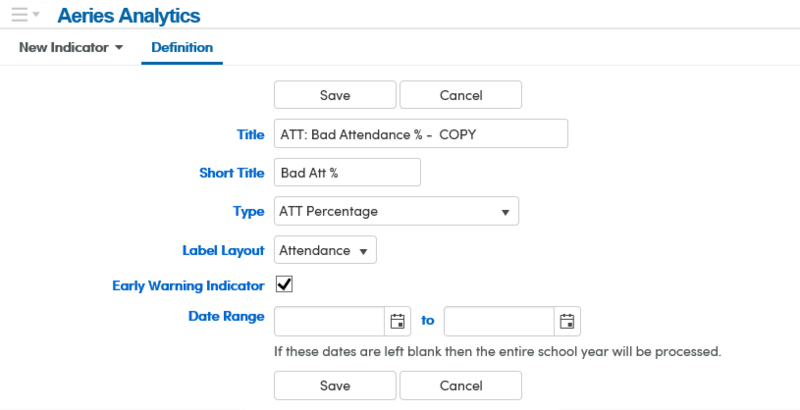 For each Dashboard item, the summary of the indicator definition associated with a chart item is available for reference by selecting the "i" (info) icon located at the top right of the chart. 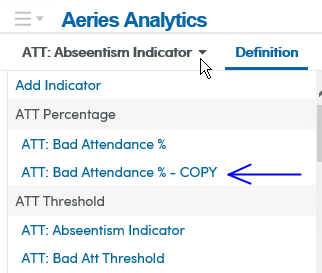 The ability to copy an existing Analysis Indicator is now available by using the new copy button in the Indicator area! An Indicator edit area will display with information copied from the existing Indicator. Information can be modified here before saving. The Title field will have a - COPY at the end of it. This is to indicate that this is the Copy. The Title can be edited and the - COPY can be removed. If the copied Indicator has the same Type value as the copied from Indicator, on Save the user will be prompted with a message asking "Do you want to copy the thresholds". Saying OK to this message will copy the thresholds from the original Indicator to the new copied Indicator. After a copied Indicator has been saved it will display in the Indicator drop down list and be available to use with Dashboard creation!